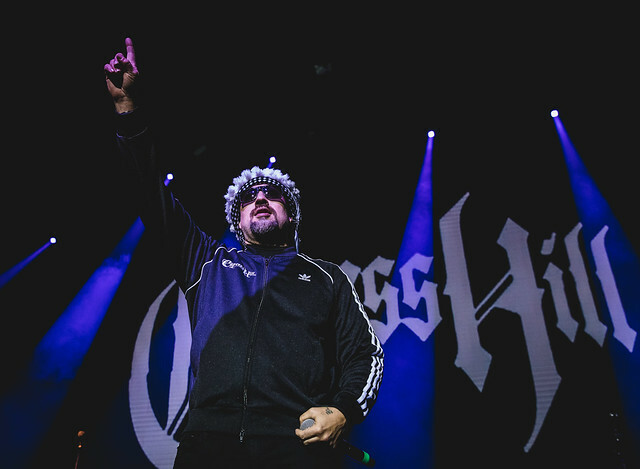 Legend Series: Cypress Hill Get West Coast High In New Jersey Reviewed by David Zeck on March 7, 2019 . This past Monday The West Coast High Tour tour dropped down in Charlotte at the Fillmore NC. Unfortunately, the stars of the night Cypress Hill could not perform. Fast forward to this moment Wednesday night and not only did they perform, but they came to bring the energy of both shows into one. 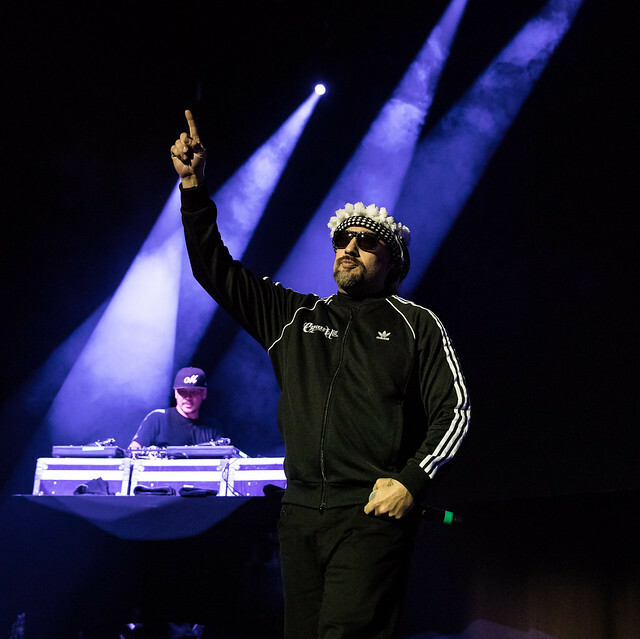 It was a surprise to get this show, and we all know how stellar last minute shows can be… I packed my camera bag with the essentials for the night and headed out to The Wellmont Theater in Montclair, New Jersey for The West Coast High Tour. But let us backtrack a little bit. Being a 90s kid, like many of the fans tonight, sends the vibe back to the days when MTV was really for music, not reality TV. When you had to wait for your favorite songs to hit the airwaves it wasn’t readily available over every media platform. Adidas tracksuits were the complete hotness and you had a chance to hear “Insane in the Brain” blasting on someone’s car stereo bumping through your hood. Parents were aghast at the band’s open support of the wacky leaf and said their music warped your brain. Mind you this was when that super popular commercial was playing on a loop of a person cracking an egg into a frying pan saying “This is your brain (whole egg) this is your brain on drugs (cracks the egg into the pan and scramble it).” Frankly, I was too busy enjoying the wacky weed blasting Cypress Hill and all that damn commercial did was make me hungry! Did you know: Banned! CH is not allowed to perform on Saturday Night Live. The reason? Smoking weed and breaking their instruments on stage directly after their performance. Flash forward to 2019. 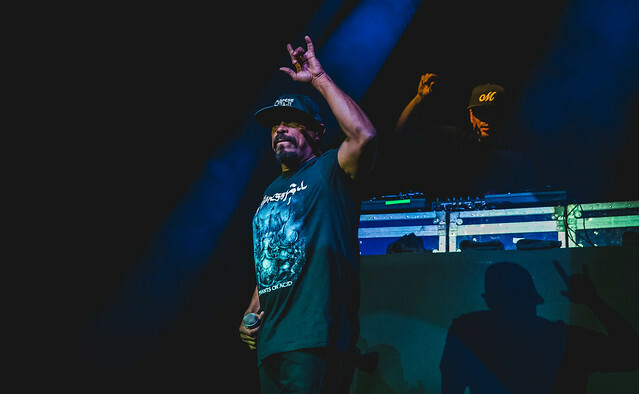 Pleasantly surprised because Cypress Hill are back on the road in celebration of their latest and ninth studio album, Elephants on Acid. 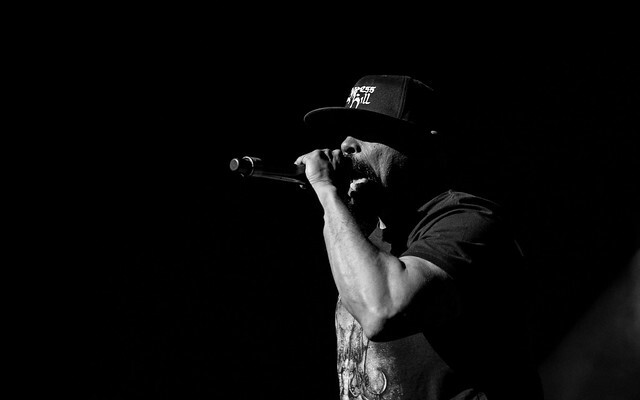 This marks Cypress Hill’s first new album in nearly a decade, as well as the first record DJ Muggs produced since 2004’s Til Death Do Us Part. The LP has been receiving 5 star reviews across the globe (Rolling Stone, MOJO, Kerrang, Clash & more), along with debuting at #5 on Billboard’s Rap Chart and landing in the Top 10 on the R&B/Hip-Hop Chart. As I made my way inside one of New Jersey’s premiere venues, the smell of magical greenish, funny shaped plant filled the air. The Wellmont Theater was packed from front to back and up on the balconies. The fanbase is as diverse as ever, everyone from your common old school hip hop fan to your guy with a long beard and a Cannibal Corpse shirt and huge plugs in his ears. 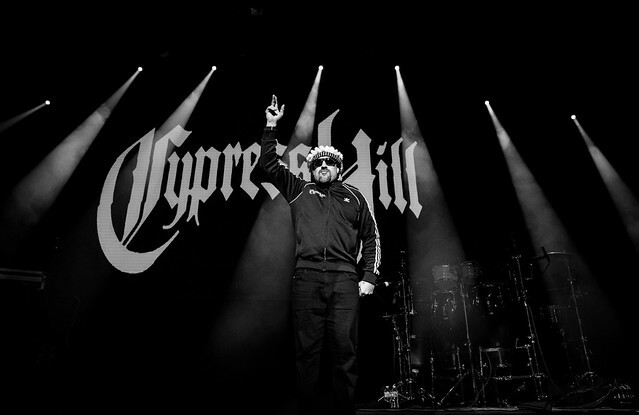 Who doesn’t like some Cypress Hill? 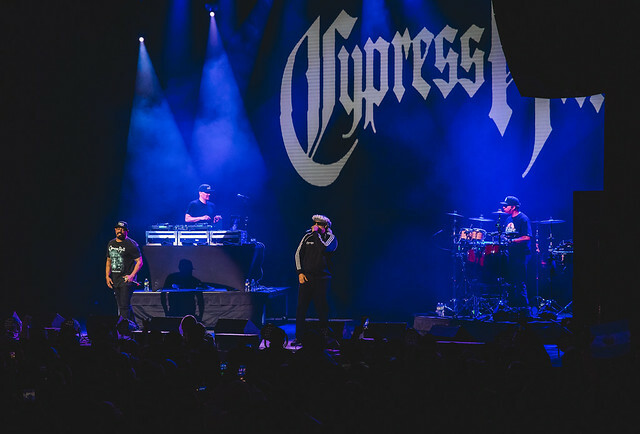 Did you know: Cypress Hill was the first Latino American hip-hop recording group to have platinum and multi-platinum albums, totaling sales of over 20 million albums worldwide. 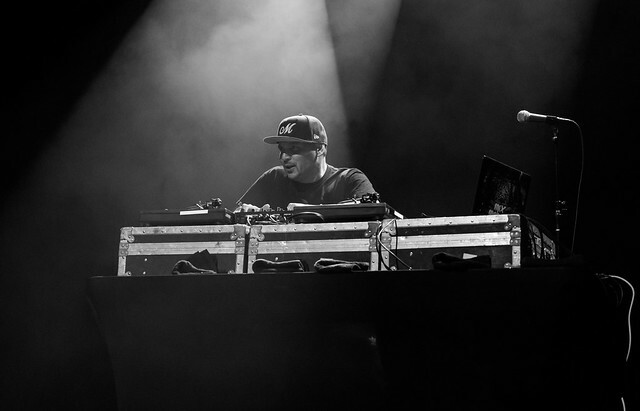 The show kicks off with the legendary Mix-Master Mike of Beastie Boys fame behind the turntables, spinning and array of classics and scratching records like no one else can. 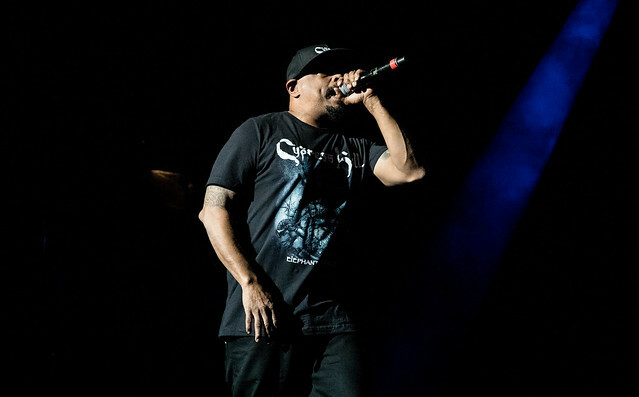 The effect was hyping the crowd for B-Real and Sen Dog to hit the stage, and hit the stage they did to the sounds of “Band of Gypsies” before getting the crowd to go absolutely insane on the track “Hand on the Pump”. 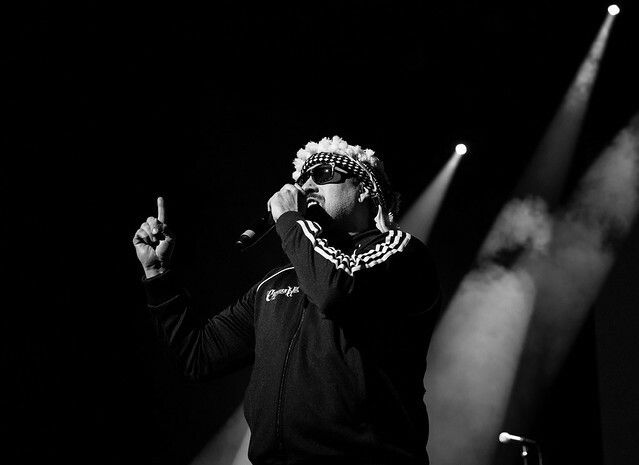 Throughout the hour long performance Sen Dog and B-real can be seen sliding across stage, hyping the crowd and even taking in a smoke break with the Jersey audience before performing classic records like “Dr. GreenThumb” and “Hits from the Bong” exploring the crews inner love for God’s plant. The set was filled with laughter and funny interactions throughout or maybe I caught a contact and I thought it was funny, nonetheless I had myself a good time and so did the 1,500 plus CH fans in attendance. The set was closed out by an over the top rendition of “How I Could Just Kill A Man” and the hit track “Insane in the Brain” before returning for a three song encore. 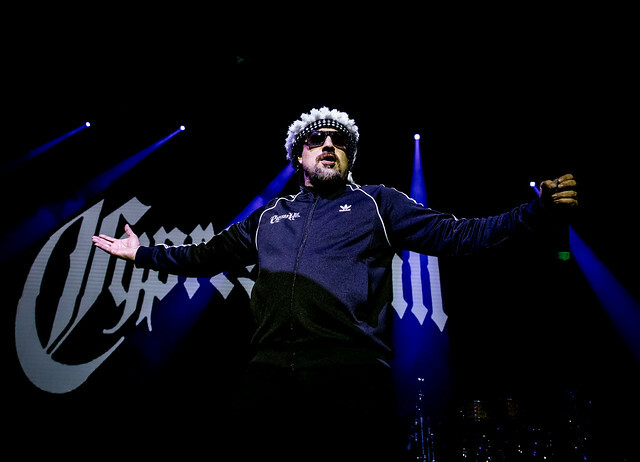 Did you know: Cypress Hill’s didn’t exactly get involved in a neuroscience experiment, but their music did. An experiment by a group of neuroscientists used the beat of popular hit “Insane in the Brain,” to stimulate a squid’s pigment cells It created a kaleidoscope-esque of color in tune with the song. The West Coast High tour is still going strong. Next stop is Silver Springs, Maryland and then Ohio on March 9th. The tour will also make its way to the Midwest and West Coast before wrapping up on March 24th at The House of Blues in Las Vegas, NV. Definitely a show not to miss, make sure to get there early and enjoy the entire package!!! See y’all loco’s in the pit!